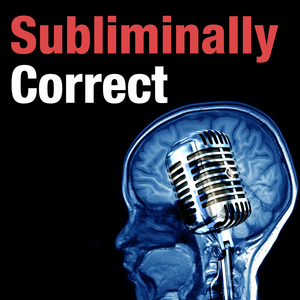 30 episodes of Subliminally Correct since the first episode, which aired on February 28th, 2018.
Who teaches a candidate to speak to the subconscious? How do politicians learn to be more persuasive and likable? Is there a method you can use to adopt these qualities in your own everyday life? In this fascinating episode we speak with Tara Swords, executive coach and communications consultant about how she trains politicians to speak subliminally correct! How do you take a terrible narrative and flip it on its head? In 24 hrs the Republicans went from being back on their heels to in front of the cameras, touting the scandalous victimization of Donald Trump. How did this happen and what rhetorical techniques did they employ in this flip? Find out in this episode! Michael Cohen: public enemy number one, or defender of democracy? Explosive hearings in Congress debated just that. In this episode we break down how everyone in the room had their rehearsed parts to play... and also how they tried to egg each other off script! We all have that "Bernie Bro" friend who can't seem to get over his 2016 loss. What made Bernie such a galvanizing candidate who can generate such fervent supporters? And will his magic work again now that he's announced another run? We break down his announcement video and ads to get to the bottom of Bernie. What distinguishes a State of the Union address from other speeches? Donald Trump's recent State of the Union address borrowed a lot of powerful thematic ideas from modern-day progressives and politicians of the past. In this episode we break down his speech along with the story-based Democratic response by Stacey Abrams. So many candidates are announcing a run for the presidency, but what makes one announcement better than another? This episode we review Kamala Harris's remarkable announcement to run for president. In her speech she builds story arcs, weaves meaning into narratives, and demonstrates other persuasive tactics that make the crowd cheer. In this episode we break down Donald Trump's Oval Office address over the shutdown and border security, as well as the Democratic response from Nancy Pelosi and Chuck Schumer underscoring what is happening persuasively in this political war over reopening the government. We take a look in this episode at how left and right-wing commentators persuasively cover the same news item – the sentencing of Michael Cohen in federal court which implicates the Trump family and business. The United Kingdom's exit from the European Union (Brexit) has caused a massive amount of political maneuvering, persuasive speech-writing and debate. Persuasion expert Rintu Basu joins us to break down a speech on Brexit by Prime Minister Theresa May. In the second part of our mid-term victory speech series, we're taking a look at speeches on the left by Beto O'Rourke and Ayanna Presley. These speeches are extraordinary examples of thematic structures, metaphor, and symbolism. In this two-part episode we take a look at some of the best victory and concession speeches from the midterm elections by both parties. Here, in part one we break down victory speeches from Alexandria Ocasio-Cortez from New York, and Ted Cruz from Texas. We take a look at a fantastic speech given by Oprah Winfrey for Stacy Abrams in the Georgia Gubernatorial race, as well as some of the most influential midterm election ads and the impact they may have had. Was Brett Kavanaugh lying in his Senate hearing? In this episode we delve into his congressional testimony after Blasey-Ford aired her accusations and analyze his body language, voice tone, and congruence. We also take a look back at the first day of congressional testimony where senators are persuasively setting the stage. This is part 2 of a two-part series. The NRA has a vice-grip on our current political environment on the issue of guns. In this episode we explore the persuasion tactics of the National Rifle Association's TV channel; we break down how they use rhyming, repetition, and rhetoric to win the hearts and minds of gun issue voters and what makes their tactics so controversial. We've talked a lot about President Obama's persuasive speech patterns on this show, but how would you like to hear them for yourself? This episode Obama goes on the attack in a campaign speech criticizing Trump and the Republicans and we break down what makes him a particularly gifted and persuasive speaker.